Check out Tobi's Take My Hand Lace Shift Dress Heart eyes in the Take My Hand Lace Shift Dress. An off the shoulder dress featuring gorgeous lace overlay with the prettiest lace trim and tie details we've ever seen. Bare your bold shoulders for date night and you won't take this flowy lace dress for granted. 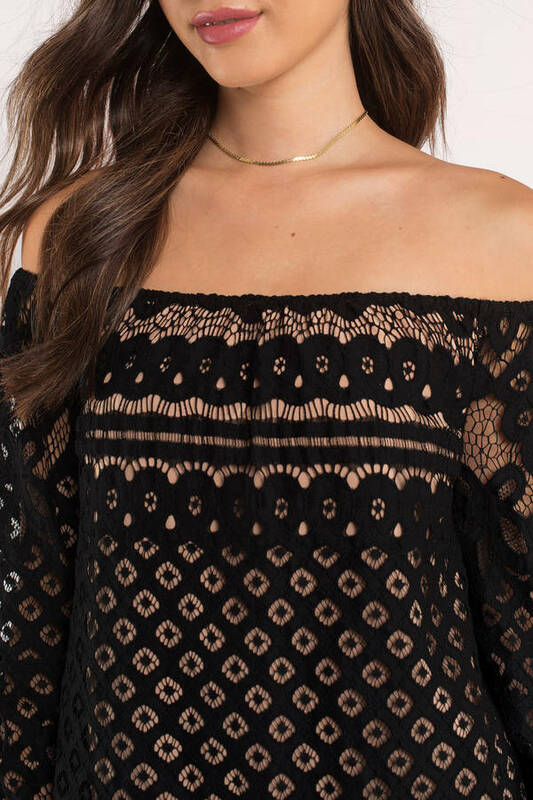 Heart eyes in the Take My Hand Lace Shift Dress. 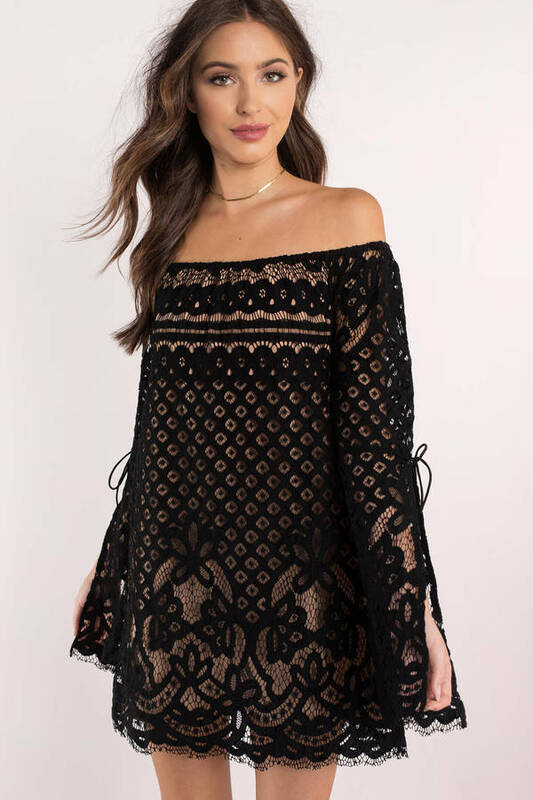 An off the shoulder dress featuring gorgeous lace overlay with the prettiest lace trim and tie details we've ever seen. Bare your bold shoulders for date night and you won't take this flowy lace dress for granted.